The quality of products or services alone is not sufficient to keep the business in tune. It is highly significant to reach out the customers. Unless you reach the clients or customers, your quality products or services would bring you nothing. Marketing therefore is one of the integral and prominent parts of any business. There are several tools of marketing, the Pay per Click or PPC is considered to be quite effective in producing expected results, and simultaneously, it is also known as one of the best ways to control the budget. If you have never done the marketing through Pay Per Click; here is an excellent opportunity for you. For decades, our PPC professionals have managed several PPC campaigns for various top businesses successfully, and you can contact us for improving your business quite rapidly. 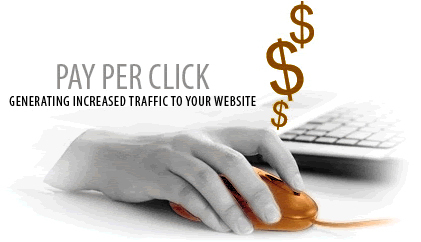 The PPC experts at W3INFOTEK can do wonders for you through their PPC expertise. Be it the preparation of PPC strategy, implementation, keywords stuffing, ad extensions, ad copywriting, tracking the clicks, PPC optimization, reporting or any other activities related to PPC; they can do everything for you. You do not have to worry about the prices as you will have to pay only for clicks. If you feel that it is the right time to plunge into PPC marketing, our professionals are always available in your service to escalate the growth of your enterprise through PPC campaign management. If you have already started the PPC campaign and do not find it yielding satisfactory result, or desire to know how it is faring; you can give us an opportunity to conduct a PPC audit. If your PPC campaign is missing any trick, our audit would pinpoint it and also we would offer you the remedial advice so that your PPC campaign brings your desired results. Proper campaign building and implementation by certified account managers.